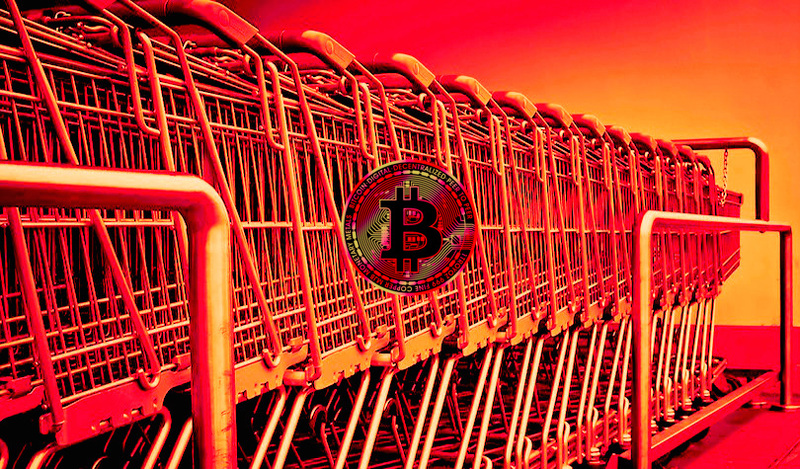 Bitcoin is gearing up for prime time at local grocery stores across the US. In addition to Cornflakes, Coca-Cola, apples and postage stamps, customers can buy Bitcoin from coin machines. 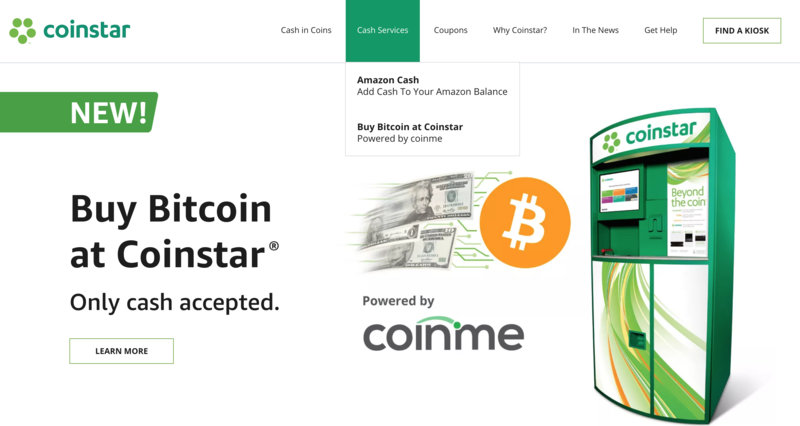 Coinstar, which owns and operates the kiosks that sound like Vegas slot machines as they convert your jugs and jars full of pennies, nickels and dimes into a voucher redeemable for dollar bills, has partnered with Coinme, the first state-licensed Bitcoin ATM operator in the US. Along with converting a sack of dimes into 50 bucks, grocery shoppers can now select the “Buy Bitcoin” button at Coinstar kiosks to purchase Bitcoin. The roll-out underway in California, Texas and Washington where Bitcoin is now available for purchase at select Coinstar kiosks located at major grocery chains such as Safeway, Albertsons and Vons. Coinstar is a brand name across the US with its ubiquitous kiosks processing 43 billion coins annually. According to the company, 90% of all US residents live within five miles of a kiosk. The company operates 20,000 fully automated, self-service coin-counting kiosks in nine countries, with more than 8,900 in the US market alone installed at major outlets, including Walmart and Kroger. The partnership with Coinme allows the kiosks to be enabled for Bitcoin transactions. Albertsons is the second-largest supermarket chain in the world and the 10th largest retailer. Albertsons owns Safeway. Customers will need to complete four basic steps in order to own Bitcoin. The Coinstar-Coinme Bitcoin buying network has the potential to expand crypto’s reach into everyday stores, shops and malls, adding to the existing 4,187 crypto ATMs across 76 countries that are currently tracked by Coin ATM Radar.